Ranveer Singh reached a radio station for the promotion of Gully Boy. Here he has a special conversation with Ranbir Kapoor. Gully Boy will be released on February 14. Ranveer Singh is busy promoting his upcoming film ‘Ali Boy’. The film is about to be released on February 14. Alia Bhatt is her upozit in the movie. Zoya Akhtar has directed the film. On Tuesday, he reached a radio station to promote the film. Here he openly talks. He was also questioned about Ranbir Kapoor. The actor was asked that when someone asks you about Ranbir Kapoor, what comes first in mind? Ranvir said, ‘Talent, superlative talent. I Love Ranbir Kapoor He is my favorite actor. He is the best person. ‘ Please tell that Ranveer Singh always praises Ranbir. Appreciate them. He has appreciated the acting of Barfi actor in many interviews. 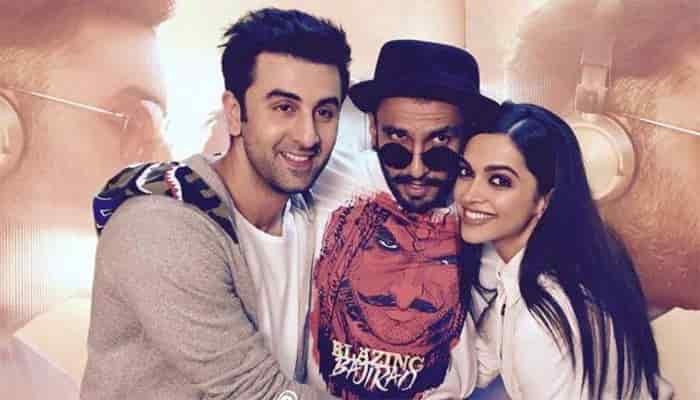 Recently when Ranvir Singh was asked during the filmmaker, would he give the relationship advice to Ranbir Kapoor? Ranvir Singh had said on this – RK has seen life. They do not need anyone’s advice.